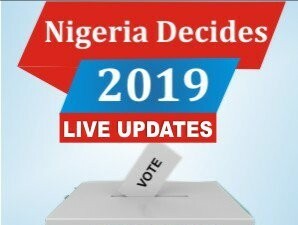 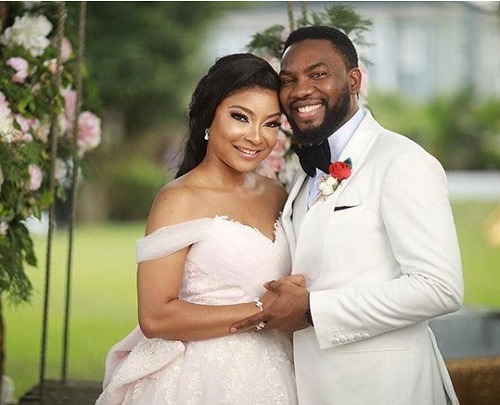 One of the most beautiful experiences in life is finding love and watching it manifest in the purest ways possible, and Nollywood stars, Linda Ejiofor and Suleiman Ibrahim, have successfully achieved that. 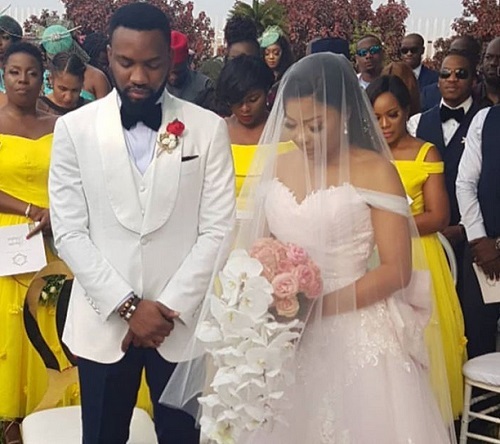 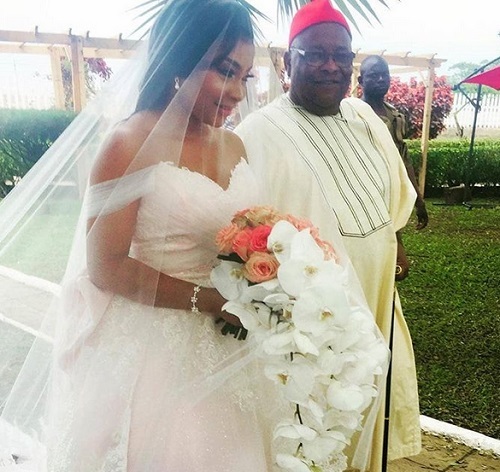 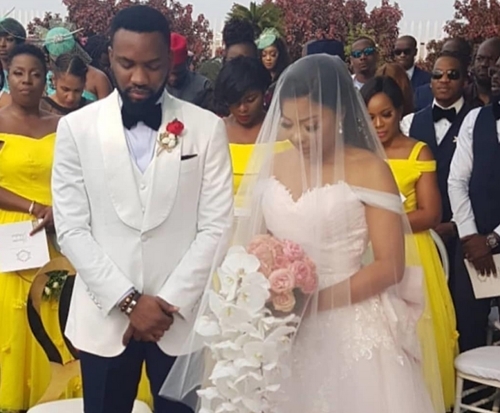 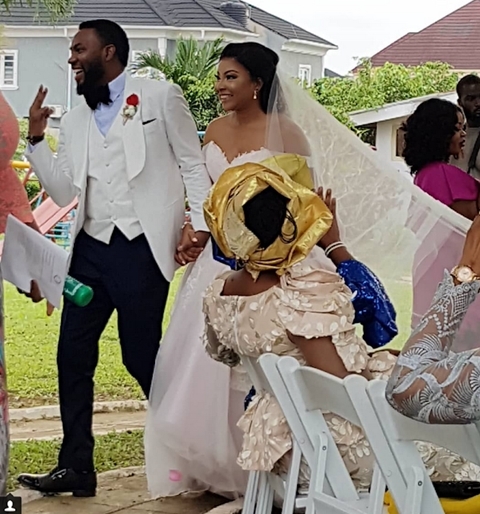 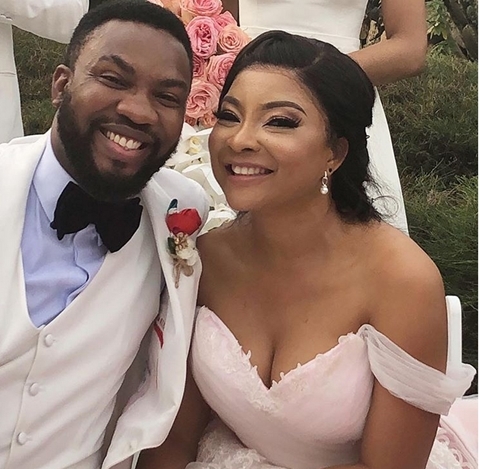 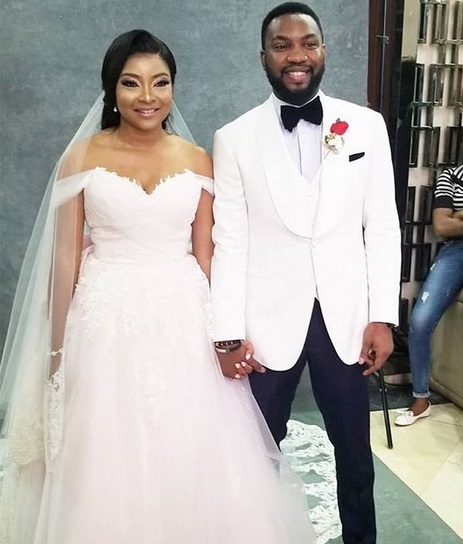 Africa Magic TV show, Tinsel stars, Linda Ejiofor and her co-actor fiance, Ibrahim Suleiman, have tied the knot at a very stylish white wedding ceremony on Sunday, November 11, in Lagos. 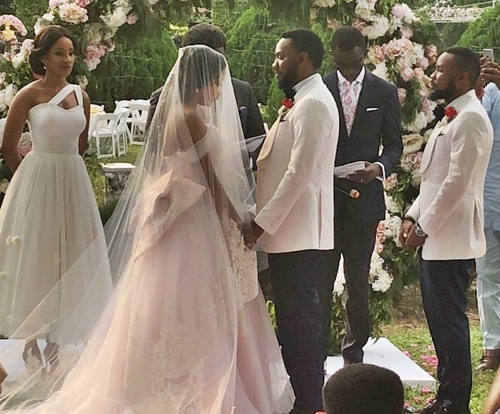 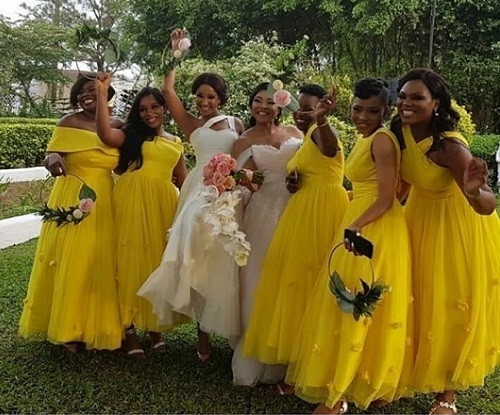 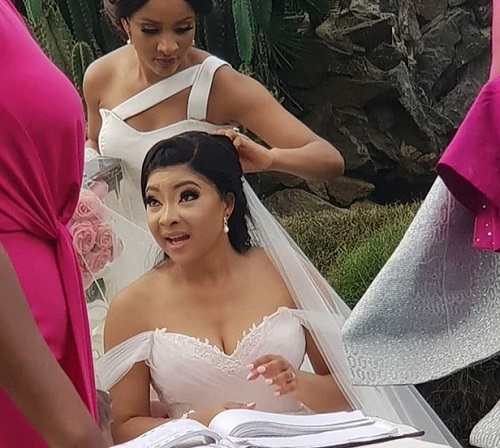 The bride, Linda, looked stunning in a lovely light pink ball gown, while her chief bride's maid, actress Adesua Etomi Wellington wore a pretty white dress. 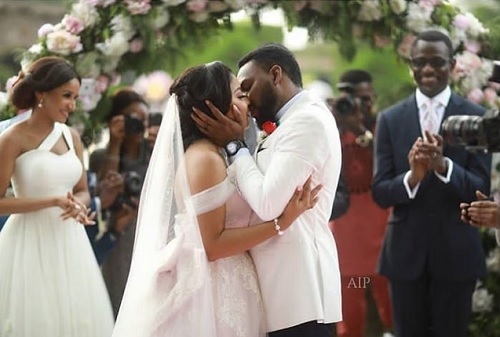 The groom, Ibrahim, was also spotted looking handsome in a white and black tuxedo, as the lovers looked absolutely gorgeous as they danced and celebrated their love in the presence of family and friends. 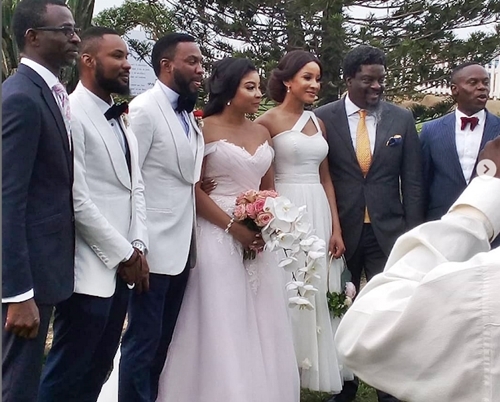 The beautiful event was graced by close family and friends who cheered on as the couple exchanged vows and committed their relationship into the hands of the God.